Ross McKitrick is an Associate Professor in the Economics Department at the University of Guelph, Ontario, and is affiliated with various climate inaction groups. His name also appears frequently as "Ross McKittrick". McKitrick made a name for himself as a climate change sceptic since he co-authored the book Taken By Storm, which was published in late 2002, although his support for anti-regulation challenges to environmental policies does stretch back some years prior. His background is as an economist; it shows no apparent expertise in climate science. According to a biographical note McKitrick holds "a BA in economics from Queen's University, and an MA and Ph.D. in economics from the University of British Columbia. He was appointed Assistant Professor in the Department of Economics at the University of Guelph in 1996 and Associate Professor in 2000." A January 2000 profile of McKitrick in his hometown newspaper, the Guelph Mercury, described his PhD thesis as doctoral thesis as being on the possibility of taxing carbon emissions as a way to reduce payroll taxes which he considered to be too high. The profile also noted that a current McKitrick study was on alternatives to government's and citizens suing corporations for pollution induced damage. It noted that McKitrick didn't support the proposal by the federal government that the federal government sue pulp and paper manufacturers for damage to fisheries. "What I'm interested in is looking at whether, in the end, this kind of system would be more costly to society on the whole than the good it would do," he told the Guelph Mercury. According to his bio note McKitrick has briefed the Canadian Parliamentary Finance Committee, and to government staff at the US Congress and Senate but it does not state on what issues. Since October 2002, McKitrick has been a Senior Fellow at the Fraser Institute, an anti-regulation organization based in Vancouver, British Columbia funded in part by the Atlas Economic Research Foundation. He is also on the academic advisory council of the Global Warming Policy Foundation. He is also a signatory of the Cornwall Alliance for the Stewardship of Creation's "An Evangelical Declaration on Global Warming". He was University of Buckingham visiting professor circa 2009. In November 1999 the Fraser Institute disputed an estimate by the Committee on the Status of Wildlife in Canada that there were 339 endangered species. Instead it preferred its own estimate of 91. In a Canadian Press article on the report a spokesman for the Alberta Wilderness Association, Stephen Legault, described the report as "another effort at fearmongering and misinformation by a right-wing think tank." In response McKitrick penned a letter to the editor of the Guelph Mercury, an Ontario newspaper, defending the think tank and accusing Legault of being "blinded by ideology." McKitrick claimed the U.S. Endangered Species Act "imposes draconian restrictions on use of private land on which rare species are present. Since these rules destroy property value, landowners across the U.S. now work to make their lands inhospitable to endangered species." While most of McKitrick's work in the late 1990's concentrated on modelling pollution abatement costs and environmental taxes, from 2000 onwards he engaged in efforts to delay action on climate change. McKitrick has said, "I have been probing the arguments for global warming for well over a decade. In collaboration with a lot of excellent coauthors I have consistently found that when the layers get peeled back, what lies at the core is either flawed, misleading or simply non-existent." His background is as an economist shows no apparent expertise in climate science that would equip him to hold an informed view on global warming. At a October 2000 briefing organised by the Cooler Heads Coalition, then a project of the Competitive Enterprise Institute, McKitrick joined other sceptics in criticising the Third Assessment Report (TAR) of the United Nation's Intergovernmental Panel on Climate Change (IPCC). "Climate alarmists put the policy cart in front of the horse. 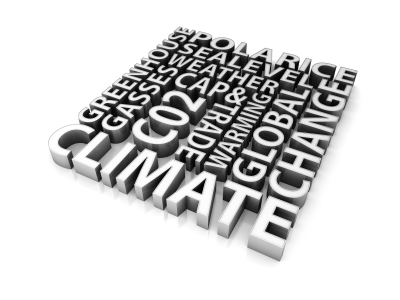 Even if global warming is happening, or about to happen, and we decide its net effects are mostly bad, there are many feasible policy options to deal with it. In sharp contrast, the scale of policy intervention required to stabilize carbon concentrations would have far worse effects on human welfare than any known impact of climate change," the October 2000 edition of Power magazine reported McKitrick stating. In 2002 McKitrick became a regular contributor to Canadian newspaper op-ed pages, particularly the National Post, criticizing the Kyoto Protocol. Despite McKitrick's outspoken criticisms of the IPCC's work there was relatively little questioning of his arguments. However, following the release of Taken by Storm in October 2002, his specific criticisms of climate change modelling and policies came to be assessed more critically. Christopher Essex and Ross McKitrick, Taken By Storm: The Troubled Science, Policy and Politics of Global Warming, Key Porter Books, Toronto, 2002. ISBN 1552632121. This book - which won the 2002 Donner Book Prize, a $10K award - was paid for in part by the Donner Canadian Foundation, which contributed $20k toward writing the book in 2002. ↑ "Defects in key climate data are uncovered" by Ross McKitrick, National Post, October 01, 2009. 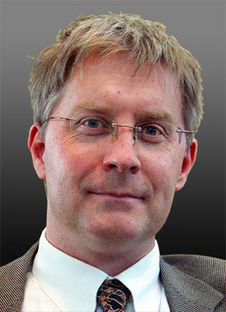 Ross McKitrick, "Ross McKitrick CV, accessed May 2005. "Ross McKitrick", George C. Marshall Institute, accessed May 2005. McKitrick's Publications and Papers, accessed May 2005. "Dr. Ross McKitrick, Senior Fellow, The Fraser Institute", The Fraser Institute, accessed May 2005. Fraser Institute, "Professor Ross McKitrick to Join Fraser Institute as Senior Fellow", Media Release, October 15, 2002. Tim Lambert, "Corrections to the McKitrick (2003) Global Average Temperature Series", Deltoid, April 28, 2004. Tim Lambert, "More McKitrick", Deltoid, April 29, 2004. Tim Lambert, "Tech Central Station flunks Physics", Deltoid, May 11, 2004. Tim Lambert, "Corrections to the McKitrick (2002) Global Average Temperature Series", Deltoid, May 21, 2004. Tim Lambert, "You Dirty Errata", Deltoid, July 9, 2004. John Quiggan, "McKitrick Mucks it Up", August 26th, 2004. Michael Mann, "Rutherford et al 2005 highlights", RealClimate, November 22, 2004. Michael Mann, "False Claims by McIntyre and McKitrick regarding the Mann et al. (1998) reconstruction", RealClimate, December 4, 2004. Michael Mann, "Myth vs. Fact Regarding the "Hockey Stick"", RealClimate, December 4, 2004. Rasmus E. Benestad, "Are Temperature Trends affected by Economic Activity? ", RealClimate, December 8, 2004. Michael Mann, "On Yet Another False Claim by McIntyre and McKitrick", RealClimate, January 6, 2005. Michael Mann and Gavin Schmidt, "Peer Review: A Necessary But Not Sufficient Condition", RealClimate, January 20, 2005. Michael Mann and Gavin Schmidt, "Peer Review: A Necessary But Not Sufficient Condition II", RealCimate, January 27, 2005. Gavin Schmidt and Caspar Amman, "Dummies guide to the latest "Hockey Stick" controversy", RealCimate, February 18, 2005. Wikipedia also has an article on Ross McKitrick. This article may use content from the Wikipedia article under the terms of the GFDL. This page was last edited on 2 November 2017, at 17:40.